Hey dolls! I hope your week is off to a great start. This evening I have photos for you of the Zoya Ultra PixieDust collection. The texture of this set fits between the original (1, 2, 3) and Magical PixieDust formula. They dry to a gritty finish and contain both fine and larger hex glitters. The formula was the same on each polish; they applied easily, were nicely pigmented, and were opaque in three coats. 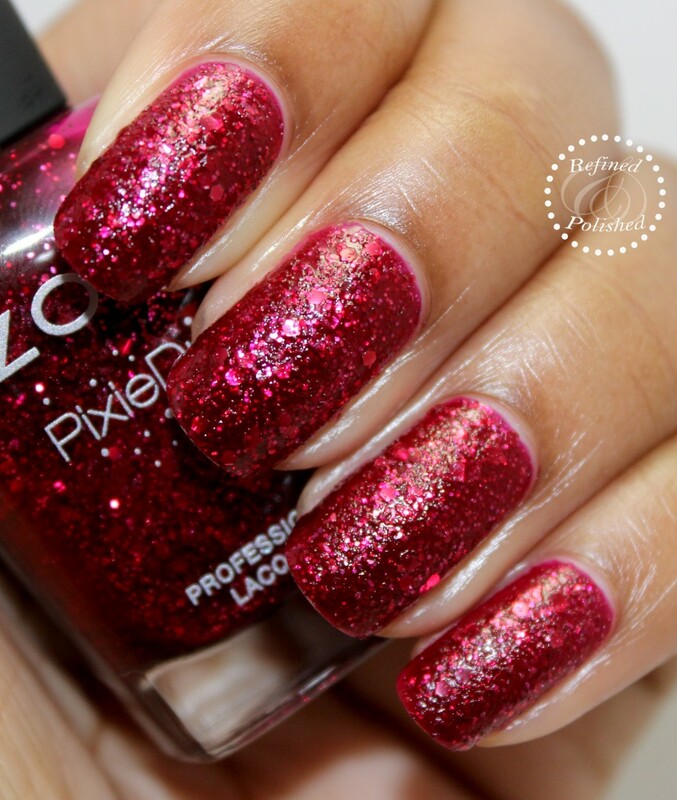 Zoya Arianna is described as a blue-toned red wine PixieDust with mega hex particles. I’m much more comfortable wearing dark red shades such as this one. Even after letting Arianna dry for over 10 minutes, it wasn’t completely matte. 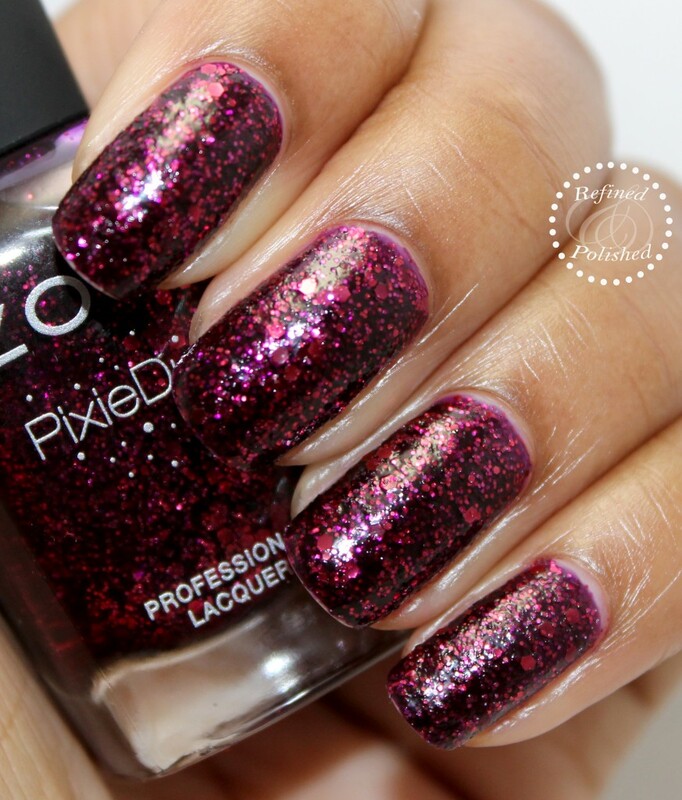 Zoya Noir is described as a deep, vampy plum textured PixieDust with red mega hex particles. I like how vampy this shade is. As with Arianna, after waiting 10 minutes, Noir still was not completely matte. 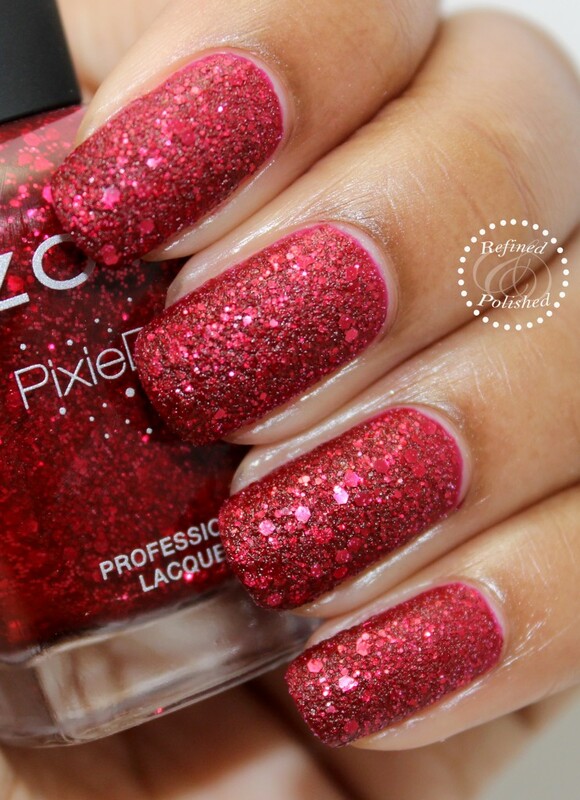 Zoya Oswin is described as a true red textured PixieDust with crimson mega hex particles. Red lovers will appreciate this shade. Oswin was the only shade that dried down to a complete matte finish. These photos were taken only a few minutes after application. As this collection only contained shades in the red family, I’m assuming Zoya will be releasing more Ultra PixieDusts in the future. 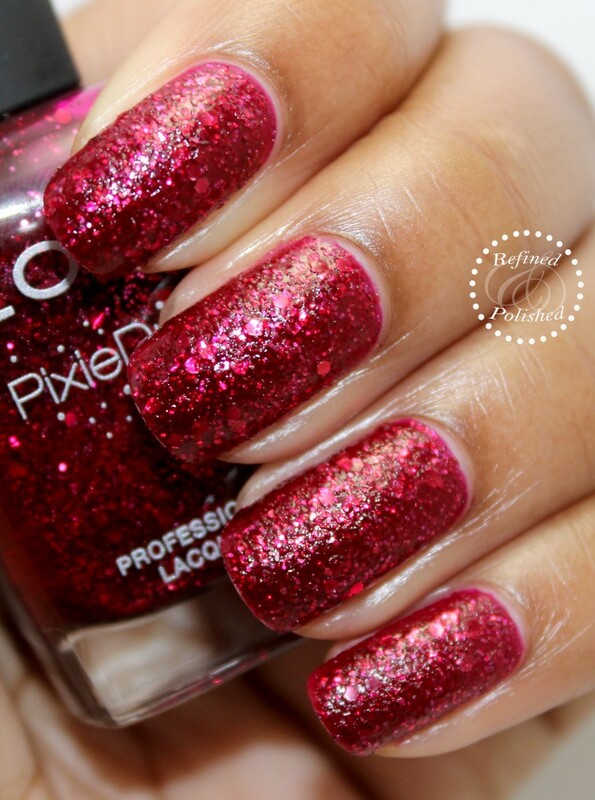 This collection will appeal to those who prefer chunkier glitters. 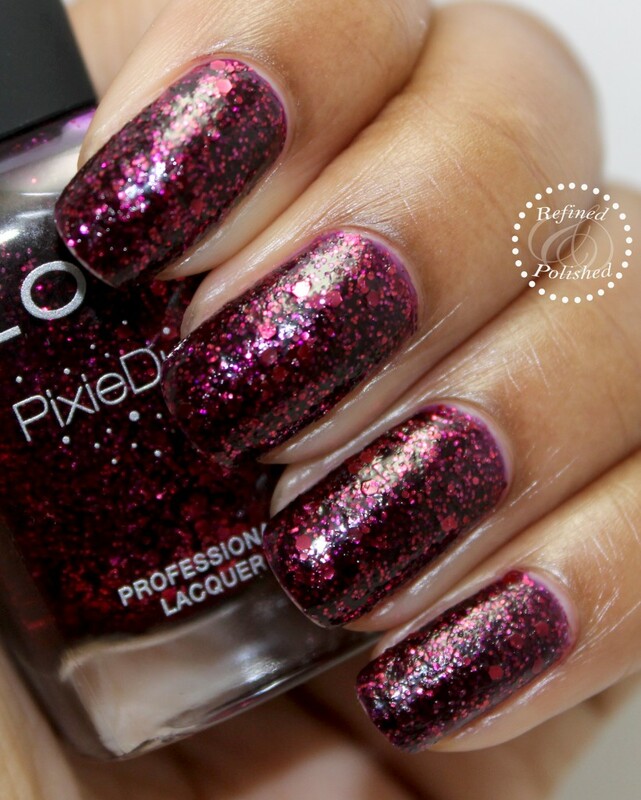 The original PixieDusts are still my favorite after trying the other two formulas. The Zoya Ultra PixieDust collection is available here for $10 each. Be sure to keep up with them on Facebook, Twitter, and Instagram for updates and fun promos!